The focus of this Weekly Update is the return of the special pre-sale event we call the Megaverse® Insider Offer. This is the first one we’ve done in almost seven years! We did one for Rifts® Lemuria™, Northern Gun™ One and Northern Gun™ Two. All were tremendous successes and people loved them. So we thought we would do a Megaverse® Insider for Rifts® Bestiary™ Volume One, starting today and running for a little more than two weeks. There is a very small window for people to take advantage of it, so please spread the word. 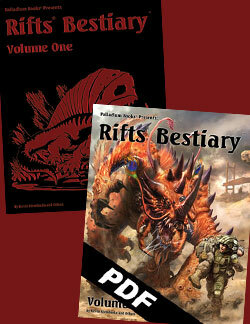 When the offer ends, April 8, we expect Rifts® Bestiary™ Volume One to be ready to go to the printer, or close to it, and a few weeks later, product should be shipping to everyone. If this Insider does well, we will do another Megaverse® Insider Offer for Rifts® Bestiary™ Volume TWO and a couple other select titles in the future. 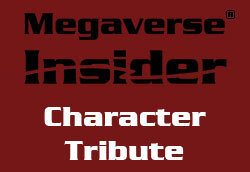 Megaverse® Insider Offers are fun for you because only those who participate get the many special and unique items, bundles and opportunities to see their names in print, name a monster, get an advance PDF of the book, get super-limited collector hardcovers, original art, prints and other rare collectibles and opportunities the likes of which are seldom offered by other companies anywhere. These are all things that make the participants Palladium “Insiders,” plus you help Palladium raise capital to fuel other projects and we enjoy making these unique offers available to you. A win-win for everyone. See all the details below and in Palladium’s online store. 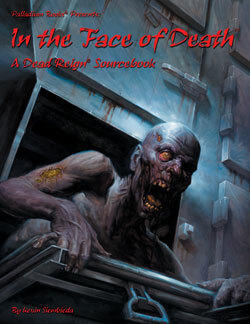 Otherwise, I am working away on finishing the writing for Rifts® Bestiary™ Volume One while continuing to coordinate art and development for several other books, like In the Face of Death™, and other projects. All great stuff you are going to love. Shipping NOW! 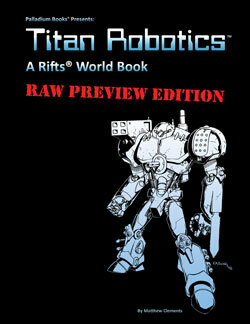 – Rifts® Titan Robotics™ Raw Preview Edition (Cat. No. 899-RAW) and Garden of the Gods™ Raw Preview Edition (Cat. No. 475-RAW) are both $20.99 each, limited to 150 copies, look great and shipping now. Every Raw Edition we have ever done has sold out, so get yours before they are gone. 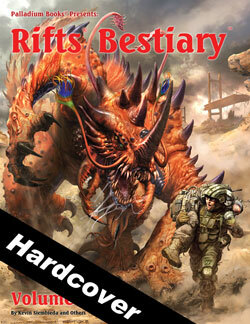 The Rifts® Bestiary™ Megaverse® Insider Offer is so expansive, so cool, and so limited (about 2 weeks! ), I’m going to make it the focus for most of this Weekly Update. Enjoy. The Megaverse® Insider is back! People enjoyed our past Megaverse® Insider Offers, so we decided to do one for Rifts® Bestiary™ Vol. 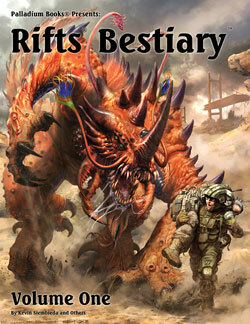 One and other select, upcoming titles that deserve star treatment, like Rifts® Bestiary™ Vol. Two in a few months, and possibly others. Besides fun and unique opportunities for you, the Rifts® Bestiary Megaverse® Insider gives you the chance to get one or more of the following depending on which bundle(s) you purchase. But do it fast because you only have about 2 weeks before this deal ends. * Your name listed as a supporter in the finished published book. * The chance to acquire an advance PDF before it is offered to the public. * The chance to purchase one or two limited edition collector hardcovers available ONLY via this Megaverse® Insider offer, and limited in number to those purchased by Insiders plus some extra; see full details below. * Bundle deals with all kinds of extras, see full details below. * Unique opportunities the likes of which you rarely see anywhere. Many are very limited in number due their uniqueness and limited availability. Your name listed as an unstatted character in the book. The acquisition of original artwork/concept sketches. Name a monster and more. * ALL of these items are only available during the short TWO WEEKS that we are offering them. Most will NEVER BE OFFERED AGAIN for that product. THIS IS YOUR ONLY CHANCE TO GET MANY Of THEM. Offer ends April 8, 2018. And some bundles are very limited. * Many items, like the two hardcover editions, should become instant collectibles worth more than what you paid for them. Why? Because if our Megaverse Insiders only purchase 220 copies, or 50 copies, then that (plus a few dozen for staff, friends and special promotions) is ALL we are printing. There are no more to be printed. Not ever. This is it. ONLY those of you Insiders who buy one or two (plus the few dozen extra for Palladium’s own use) have a copy of that super-rare, super-limited, exclusive hardcover! 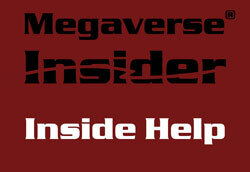 * The Megaverse® Insider is hosted right here on the Palladium Website. You make advance purchases of select items, bundles, and special opportunities the same as any Palladium product in our online store. * One last thing, please spread the word to your gaming friends and post about it online wherever you can think of. We are only advertising this to YOU – our Palladium fans and insiders – and the offer is for a very short time: Now thru April 8, 2019. Become a Megaverse® Insider. 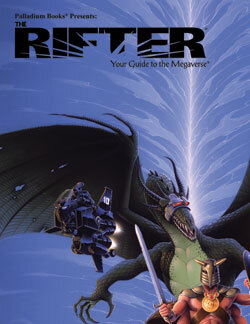 This is the first big “Monster Book” reference ever done for Rifts®. Rifts® Bestiary™ Volume One collects nearly 100 animals, and offers more than a dozen new beasts found across North America. Presented in alphabetical order with the first third or half appearing in the 224-256 page Volume One, and the rest appearing in Volume Two. 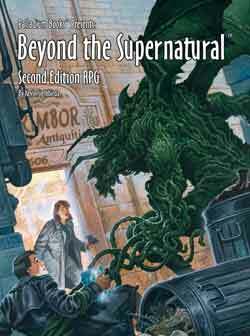 Actually, we may need a Volume Three because there are so many monsters and exotic animals in Rifts North America alone! Each highly detailed and expanded, offering adventure ideas, and accompanied with a map that shows were they can be encountered, at a glance. 224-256 pages each volume – Cat. No. 896 (Volume One) – in final production. April release. You order Insider items and bundles exactly the same way you would place an online order for a game or sourcebook from our store. 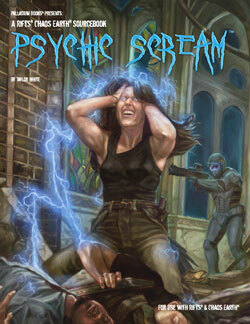 Each item has its own catalog number, price and page in the Palladium Books store. Note: Some higher tier items are limited in number, we hope you understand. For telephone orders, call 734-721-2903 (order line only). You can order as many different items as you’d like, and you can place multiple orders for the same item. Only a few of the high-end bundles that offer one-of-a-kind art or limited items or opportunities are limited to one or a dozen. 1. 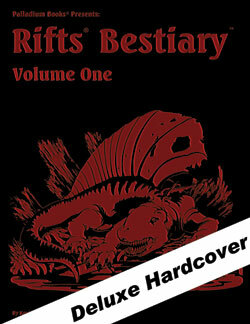 The regular softcover edition of Rifts® Bestiary™ Vol. One is NOT one of the items available in the Rifts® Bestiary™ Vol. 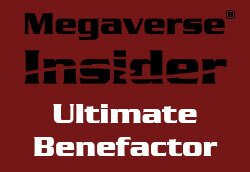 One Megaverse Insider Offer, because it has been and will continue to be offered all the time at cover price. Only Megaverse® Insider items are available through this limited time offer. If you want the softcover, please place your order as usual. 2. 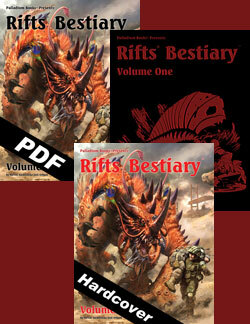 Rifts® Bestiary™ Vol. One “Softcover” Pre-Orders: Many of you have already pre-ordered a copy of the mass market, softcover edition of Rifts® Bestiary™ Vol. One. That is awesome and we are counting on those sales. If your purchase of an Insider Item means you intend to CANCEL your pre-order (and we hope you don’t), PLEASE contact us by email or telephone to let us know before April 21, 2019. Otherwise, ALL pre-orders will be processed and charged as usual when the book is ready to ship in a few weeks. Thank you. 3. Credit Card Processing. All Insider purchases will be charged to your card as soon as the order is placed. HOWEVER, it may be several weeks before your entire purchase arrives. 4. Product Shipping. Many items, such as the limited edition hardcover editions, may not ship until a few weeks (2-4) after the regular, mass market, softcover edition ships, because it takes longer to print and bind hardcover books. Insider items purchased as a “bundle” – which means they include several items for the price – will not ship until ALL items are available. We will ship everything as quickly as possible. Note: The regular softcover edition is not part of the Megaverse Insider offer, and it will ship as soon as it arrives in the Palladium warehouse. 5. Shipping Costs: As usual, the purchaser pays shipping. Cost varies by the weight of the items purchased and the shipping method you choose. We suggest UPS Ground, especially if you are getting hardcovers and artwork. 6. Items Lost in the Mail is YOUR risk. Since many of the items are being “made to order,” there are few additional copies to replace any that might be lost in the mail or damaged. Use a reliable shipping method. Likewise, original art and other one-of-a-kind items, or few-of-a-kind-items, may be impossible to replace. Note: Palladium Books will NOT refund any order, nor replace any product lost or damaged, when shipped via “Media Mail” – the purchaser assumes ALL risk. Media Mail is the least expensive method of shipping, but is also the least reliable, and it takes the longest time to arrive (3-12 days in the USA). Palladium has found UPS Ground to be the most reliable method of shipping. It is automatically insured for $100, takes 2-5 days to arrive (does not include weekends), and can be traced every step of the way. 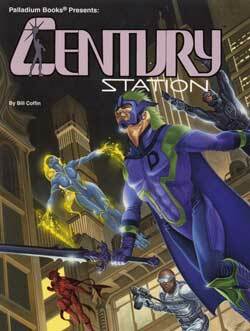 For customers in the United States, it is worth the extra few dollars, especially for hardcovers and concept art. First Class Mail and Priority Mail are also very reliable. 7. We will post in Weekly Updates, on the Palladium website and email updates on the availability of items in this Megaverse® Insider Offer. Inside Help gets your name listed under “Inside Help” in the Insider Acknowledgment section of the book. The Purchaser can list his or her own name or submit the name of a fellow player, Game Master, friend, child, sibling, spouse, parent, or loved one he or she would like to acknowledge. EACH name is a separate purchase and costs $5. Real names only, and it must be the first and last name, e.g. John Smith. Note: You do not get a copy of the book with this purchase. The book is a separate purchase. All listings of Insider names shall remain in print for the life of the book, including reprints, for at least as long as Kevin Siembieda is the owner and publisher of Palladium Books. (Which we anticipate to be decades.) There is no shipping cost for this item. You can list the name of a loved one who has passed away recently or long ago, but whom you’d like to acknowledge. This can be a fallen friend, Game Master, player, parent, sibling or other loved one. Their name gets listed under “In Memoriam” in the Insider Acknowledgment section of the book. As an Insider, we trust that you will respect the sanctity of this category and not list the living nor submit the name of fictitious characters as a practical joke. It is impossible for Palladium to verify the truth of this submission, so we are trusting the sincerity and truthfulness of the purchaser. Do not list the name of characters you wish were dead. Offenders will be banned from future purchases of ANY Insider Offers. Note: You do not get a copy of the book with this purchase. The book is a separate purchase. There is no shipping cost for this item. The name says it all. You can list the name of one of YOUR favorite fictional RPG characters (not a literary character from a book, comic or film – but a fictional game character) you have played or one of your fellow gamers has played that you’d like acknowledged. Your character’s name will get listed under “A Real Character Tribute” in the Insider Acknowledgment section of the book. Note: You do not get a copy of the book with this purchase. The book is a separate purchase. There is no shipping cost for this item. You get your name listed under “Cyber-Insider” in the Insider Acknowledgment section of the printed book, and a PDF copy (not the print copy) around the time that the physical book will ship from the Palladium warehouse. There is no shipping cost for this item. ONLY INSIDERS have the opportunity to get this bookmarked PDF of this book around the same time the printed book ships! 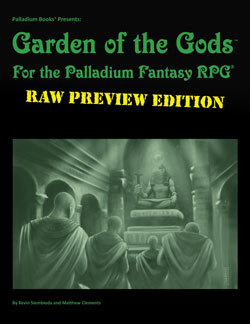 This is the only way to get a PDF of this new release from Palladium for six months or longer, and the offer is only available for a limited period of time as part of the Megaverse Insider offer. It will NOT be made available as a PDF by any other means, nor elsewhere, for at least six months and probably longer. And it will cost a few bucks more when it does become available. Note: This is one of the things that makes you an “Insider” – you have the opportunity to get stuff not available to the average gamer, during a limited window of time while we are raising funds. 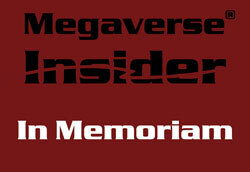 Please, we ask that you do NOT share, distribute or post the Insider PDF anywhere, as it defeats the whole purpose of being a Megaverse® Insider and it can hurt, rather than help, Palladium. Thank you so much for your support! You get your name listed under “Palladium Insider” in the Insider Acknowledgment section of the published book. The $50 Collector’s, Super-Limited, Hardcover (color cover): This handsome hardcover edition has the same interior pages and same color cover art as the softcover, but a red color logo to set it apart. It is likely to ship 2-4 weeks after the softcover as it takes longer to get hardcover editions printed and bound. What makes this hardcover edition truly special is that we print only what you order (plus a few dozen extra for staff and promotion). That means if we get 218 orders, we only print 218 copies of this book (plus 48 additional for Palladium staff, friends and special promotions). If the number is 135, we print 135 (plus 48 additional). It is hard to get much more LIMITED and special than this. And you own one of the very few in existence, because you’re a Megaverse® Insider. This book is only available via this Megaverse Insider offer. When the offer ends after April 8, 2019, no new ones will be printed. Note: This book is not numbered or signed. Your name listed under “Crimson Beast Insider” in the Insider Acknowledgment section of the published book. The Crimson Beast Super-Limited Collector’s Hardcover: A black leatherette with “red” foil printing on the front cover and spine (think gold edition printed in red foil instead of gold), and it is signed and numbered by the available Palladium staff. Otherwise, the book has the exact same interior as the softcover. It is likely to ship 2-4 weeks AFTER the softcover as it takes longer to get hardcover editions printed and bound. Only Insiders who pay $75 or more get this book, which should keep the number printed low (in the past, under 400 copies). Also, we print only what you order (plus a few dozen additional for staff, friends and special promotions). That means if we get 270 orders, we only print 270 copies of this book (+48 for Palladium staff, friends and special promotions). If the number is 65, we print 65 (+48 extra). It doesn’t get more LIMITED than this. And you own one of the very, very few signed and numbered Crimson Beast Editions in existence because you are a Megaverse Insider. This book is available only via this Megaverse® Insider offer. The Crimson Edition will NEVER be reprinted. This is it. Note: This book is numbered and signed by available Palladium staff. Your name listed under “Enhanced Crimson Beast Insider” in the Insider Acknowledgment section of the book. 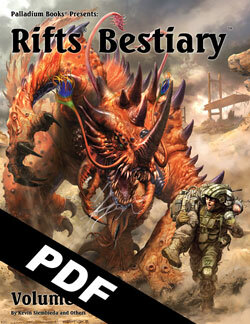 The PDF of Rifts® Bestiary Vol. One. The Rare and Super-Limited “Crimson” Hardcover, SAME AS ABOVE. A black leatherette with “red” foil printing on the front cover and spine (think gold edition printed in red foil instead of gold), and it is numbered and signed by available Palladium staff. Otherwise, the book has the exact same interior as the softcover and hardcover with the color cover. It is likely to ship 2-4 weeks AFTER the softcover as it takes longer to get hardcover editions printed and bound. This book is available only via this Megaverse® Insider offer. The Crimson Edition will NEVER be reprinted. This is it. Note: This book is numbered and signed by available Palladium staff. Your name listed under “Top Insider” in the Insider Acknowledgment section of the book. The $50 Super-Limited hardcover edition with the color cover, as described under Palladium Insider, above, except it will be signed by available Palladium staff. The $75 Signed and Numbered Super-Limited Edition “Crimson Beast” Collector’s Hardcover, as described under Crimson Beast Insider, above. BOTH hardcover books are autographed by Kevin Siembieda and available Palladium staff (and possibly a few freelancers). Kevin Siembieda will draw a small, dragon head sketch on the credits page of your Crimson Beast Edition. A signed, limited edition print of the cover by artist Chuck Walton, signed by Chuck Walton and Kevin Siembieda; 8½ x 11 inch size. Your name listed under “Ultimate Insider” in the Insider Acknowledgment section of the book. 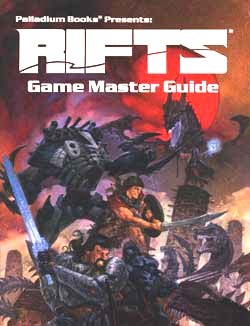 The PDF of Rifts® Bestiary™ Vol. One. The Super-Limited Edition Hardcover with the color cover. Signed. The Super-Limited Edition “Crimson Beast” Collector’s Hardcover. Numbered and signed. Both hardcover books are signed by Kevin Siembieda and available Palladium staff (and possibly a few freelancers). Kevin Siembieda will draw a large dragon head sketch (black and white) inside your Crimson Edition Hardcover. 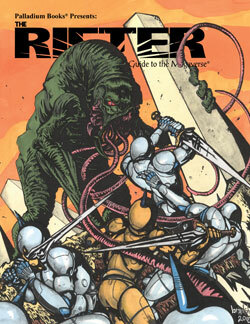 Chuck Walton will draw a small creature sketch on the credits page of your Crimson Edition. Four prints of as yet “unseen” artwork from one or more upcoming Palladium releases signed by Publisher Kevin Siembieda. May be reproductions of finished illustrations or concept art. Signed Raw Preview of Titan Robotics AND Garden of the Gods. Both signed by Kevin and available staff. Your name listed under “Benefactor” in the Insider Acknowledgment section of the book. 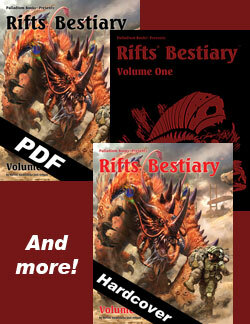 The PDF of Rifts® Bestiary™ Volume One. The Super-limited edition hardcover with the color cover, signed. The Super-Limited Edition “Crimson Beast” Hardcover of the book, signed. Kevin Siembieda will draw a large dragon head sketch in both hardcover editions. Chuck Walton will draw a creature sketch on the credits page of your Crimson Beast Hardcover. Two signed, limited edition prints of the cover, one color and one black and white of the pencil drawing, both by artist Charles “Chuck” Walton, both signed by Chuck Walton and Kevin Siembieda; 8½ x 11 inch size. Two signed and numbered, limited edition prints by artist Chuck Walton, signed by Chuck Walton and Kevin Siembieda; 8½ x 11 inch size. Eight prints of as yet “unseen” artwork from one or more upcoming Palladium releases, each signed by Publisher Kevin Siembieda (may be reproductions of concept art or actual art slated for publication). 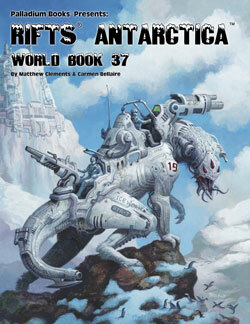 Top Secret – For Your Eyes Only: An unfinished, unedited, advance excerpt from an upcoming release – may be some of Carmen Bellaire’s additions to Rifts® Antarctica. Benefactor Bonus: One original, preliminary sketch or concept drawing (original art) of a creature that appears in Rifts® Bestiary™ Volume One or Volume Two. The original art is by Charles “Chuck” Walton. The “sketch” is a cool, one-of-a-kind piece of original art, but is NOT the finished drawing as it appears in the book. Signed by Chuck Walton and Kevin Siembieda. There can be only one! As Ultimate Benefactor, you get all of the items in the Benefactor’s package, PLUS one piece of original concept art AND the finished original pencil artwork for the cover to Rifts® Bestiary Volume One. AND MORE! Read Number 8, 11, 12, 13 and 14 for the details. Your name listed under “Ultimate Benefactor” in the Insider Acknowledgment section of the book. The Super- Limited Edition “Crimson Beast” Hardcover of the book, signed. One original, preliminary sketch or concept drawing (original art) of a creature that appears in Rifts® Bestiary™ Volume One or Volume Two. The original art is by Charles “Chuck” Walton. The “sketch” is a cool, one-of-a-kind piece of original art, but is NOT the finished drawing as it appears in the book. Signed by Chuck Walton and Kevin Siembieda. Ultimate Benefactor Bestiary Cover Art: You get the fabulous, finished, pencil drawing of the Rifts® Bestiary™ Volume One cover. Original 14 x 17 inch art, on bristol board, signed by Charles “Chuck” Walton and Kevin Siembieda. WOW! a) The name must be original and cannot infringe on existing copyrights and trademarks. A name that is similar to someone else’s I.P. may be altered by Palladium Books, or we may require you to come up with a new name. b) You present to Palladium Books by May 10, 2019, either a fully written and statted out creature – OR – a general description/creature concept/outline to be statted, fleshed out and written by Kevin Siembieda and illustrated by Charles Walton or other Palladium artist. Note: UNDER ALL CIRCUMSTANCES, Palladium Books, in its sole discretion, has the right to change and rewrite your “beast” as it deems necessary or desirable, possibly changing stats, details and writing from small portions or all of it. AND the name must fit within the alphabetical order of creatures in Bestiary Two. c) Your real name will be credited as the co-creator of this creature on the page the monster’s description appears, and on the Credits page under Additional Writing and Ideas. 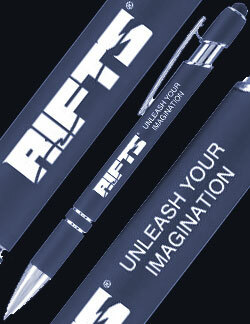 d) Yes, you and your creature concept will become an “official” part of the Rifts® legacy. 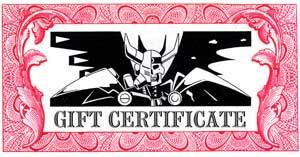 e) LEGAL TERMS AND CONDITIONS: You willingly agree to relinquish and assign ALL rights to said creature, its name, description and concepts, to Palladium Books, in perpetuity, and agree to sign any document we may require. Thank you.